Lock in a great price for Fattoria Pieve A Salti – rated 8.9 by recent guests! great views. Good breakfasts. Lovely truffles at the restaurant. Food was good, though the pay-in-advance dinners were less interesting. 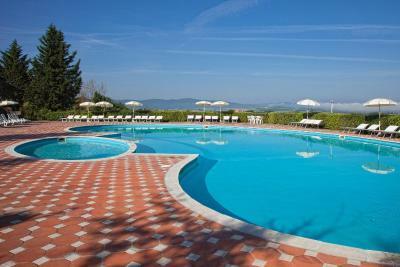 Amazing location and scenery in the tuscan countryside.the pool facility was very nice. 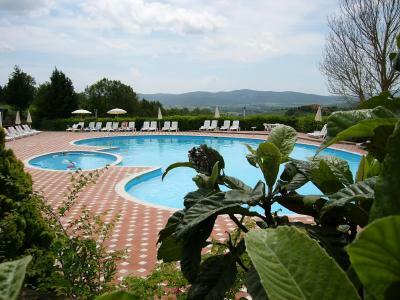 The pool, the dining room, the staff, the region (near Montalcino), easy parking access, the nearby town of Buonconvento with its supermarket (with great wines which were quite inexpensive), the hot summer blue-skyed days. Beautiful location and helpful reception staff. Lovely breakfast. Packed lunch available too! Fantastic value especially for a solo traveller. There is a wellness center offering massages and facials. Great food with daily menu rotation. 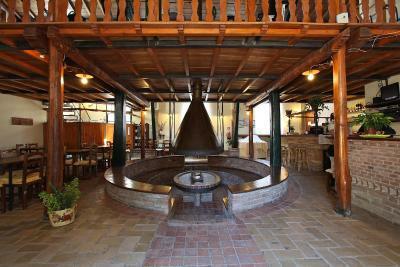 Location and ambience and friendly and helpful staff. Got a table in the restaurant earlier than planned. Meal in restaurant was OK, wild boar portion very modest, steak somewhat undercooked.. The Farm, the playground, the facilities, the room. When we arrived we were given a nice room but was a bit humid and smelly, we asked to change it and they did with no delay. 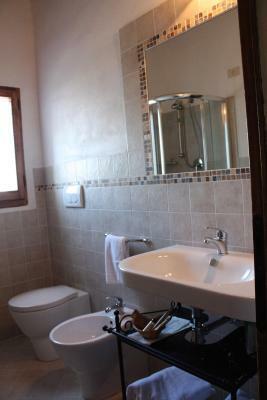 If in the area again for sure we will be back at Pieve a Salti. 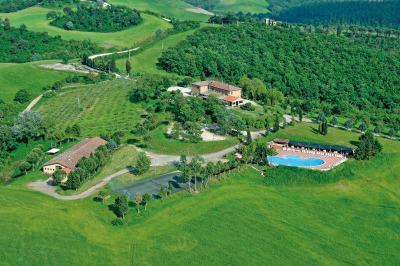 Great area just few kilometers from the city with a lot of green places. 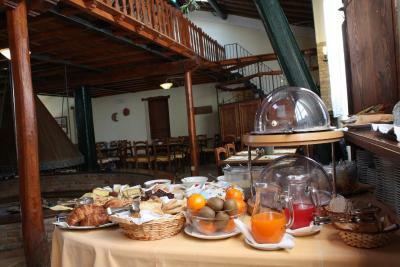 Good quality breakfast which you can have outside. 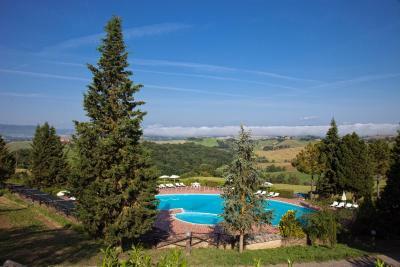 Beautiful farm location in the Tuscan hillside. 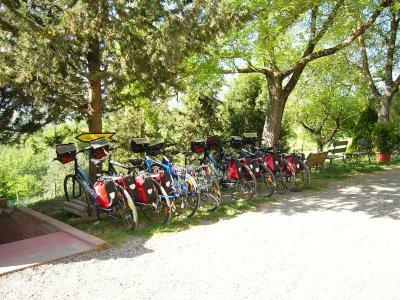 Great scenery and activities from Horse riding to biking. Pool was beautiful and had a lovely view. 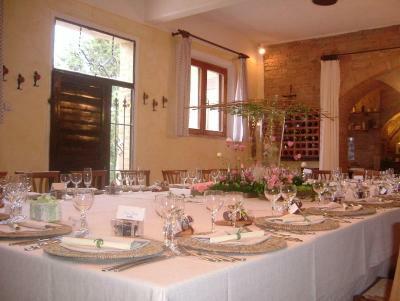 Dating back to the late 19th century, Fattoria Pieve A Salti is a converted Tuscan farmhouse. 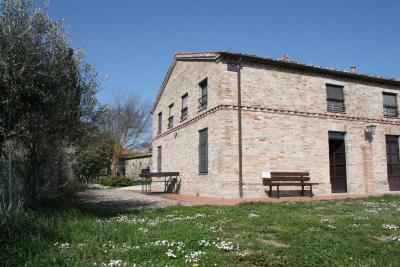 It is housed in 2 buildings 0.6 mi one from the other, just outside Buonconvento. It features indoor and outdoor swimming pools. 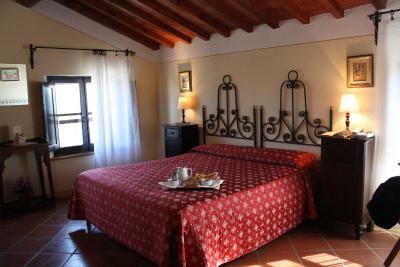 Rooms have a rustic design with wood-beamed ceilings and wrought iron beds. 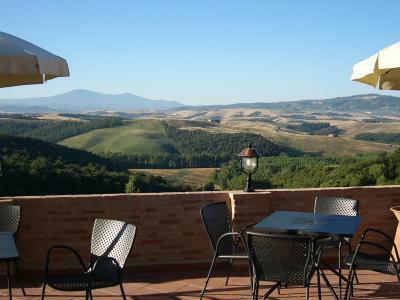 They offer views of the Crete or Val d'Orcia hills. 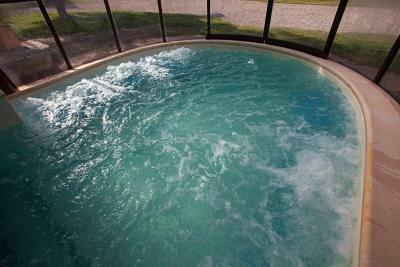 Each one is air conditioned and features an LCD TV and fridge. 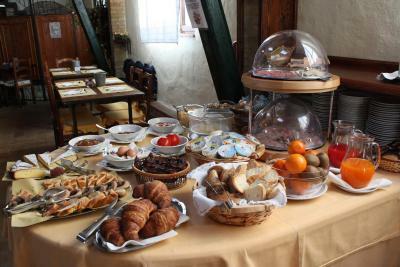 A sweet and savory breakfast is served buffet style each morning. 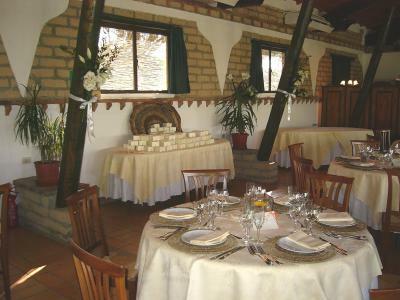 The restaurant is open at dinner and serves organic Tuscan cuisine. 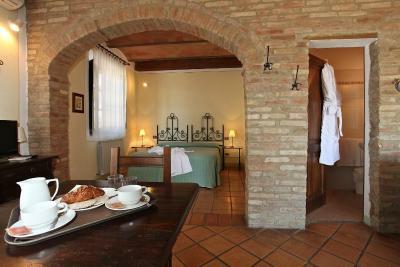 Pieve A Salti produces its own cereal, pasta, sauces, marmalade and olive oil. These can be enjoyed at the restaurant and even purchased on site. A shuttle bus for Buonconvento Train Station is available on request and at extra charge. 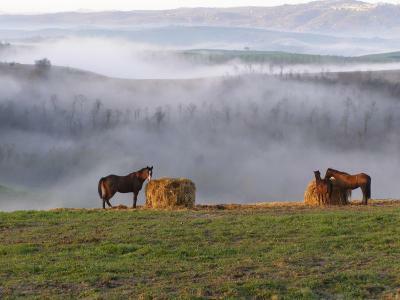 From here, you can catch trains to Siena and Grosseto. 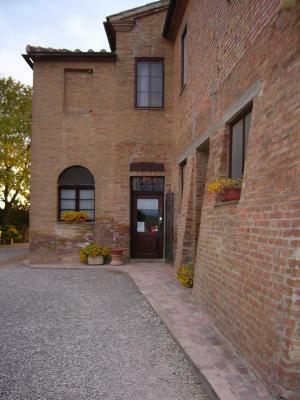 Free parking is provided at the farmhouse, which is 11 mi from Montalcino. 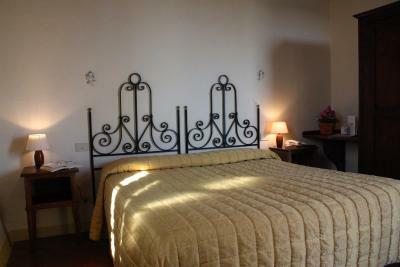 When would you like to stay at Fattoria Pieve A Salti? 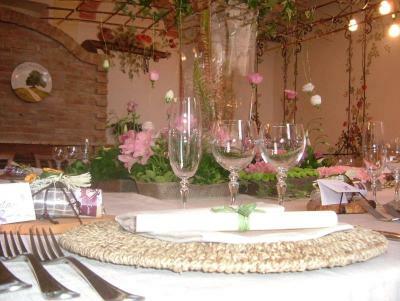 House Rules Fattoria Pieve A Salti takes special requests – add in the next step! Up to two children under 3 years are charged EUR 11 per person per night in a crib. 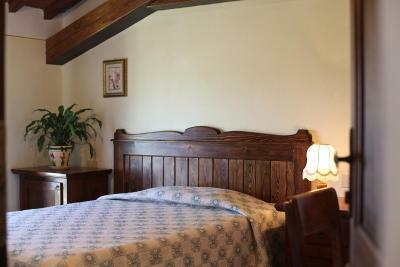 Up to two children from 4 to 6 year are charged 35 % of the room stay per night per person for extra beds. 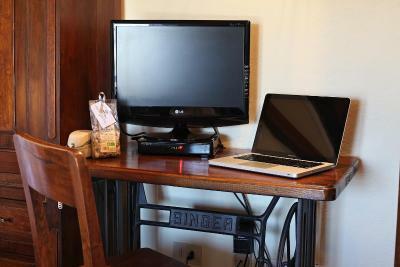 Up to two children from 7 to 12 year are charged 40 % of the room stay per night per person for extra beds. Up to two older children or adults are charged 45 % of the room stay per night per person for extra beds. Fattoria Pieve A Salti accepts these cards and reserves the right to temporarily hold an amount prior to arrival. Please note that this property is composed of 2 different rural buildings that are 0.6 mi apart, connected via a small unpaved road. Check-in takes place at the address indicated, unless otherwise stated by the property. Pets are not allowed in the restaurant, breakfast room or wellness center. 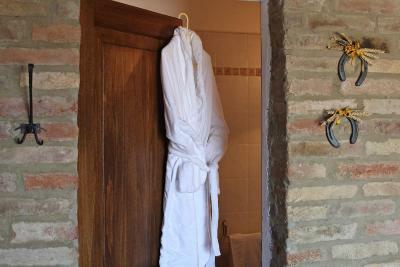 Please inform Fattoria Pieve A Salti of your expected arrival time in advance. You can use the Special Requests box when booking, or contact the property directly using the contact details in your confirmation. The distance between various facilities was so great we were unable to use much of it. We had explained that I was mobility impaired and the room was changed accordingly on arrival. But the "onsite" restaurant was a long walk -- twenty minutes or so? 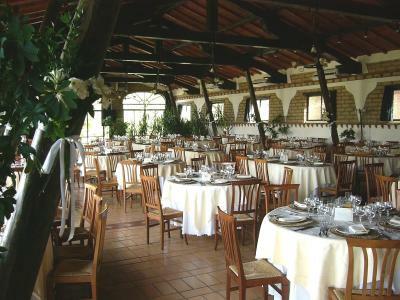 -- from the main building; there was no transportation unless arranged in the morning; I was not the only guest who could not FIND the restaurant; and I never found the heated pool. Perhaps an excellent choice for vigorous bikers or equestrians. No coffee machine in the room. No desk. Not enough counter space to put things on. Beautiful surrounding. 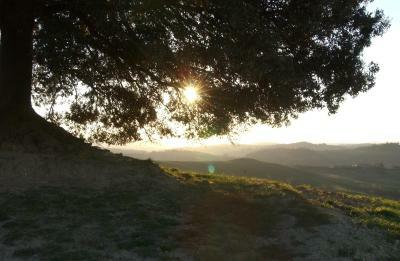 Easy access to town of Buonconvento. Cleaning staff are friendly. Room facilities basic, no chance of tea or coffee in room. Drainage smell in bathroom. Useless Nespresso machine at breakfast buffet - again cereals, pastries and a few hard boiled eggs, cheese and processed ham. 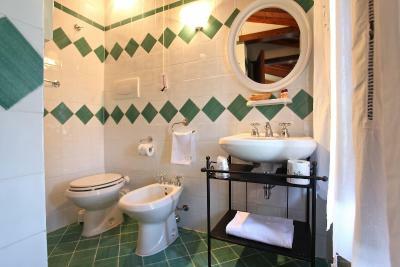 Extra unavoidable cost for a taxi from the village to the property affects the overall budget of the stay. 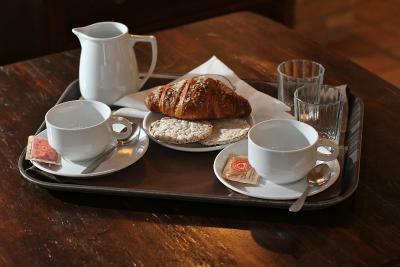 Rooms should be supplied with a water boiler to be able to make a hot drink while there are no option for that in the facility in the evening. We didn’t like the fact the big pool is in the other building at 1 km distance. We know since the booking but we thought wasn’t a problem but in fact with kids it is. I wouldn't recommend it for couples, too noisy, rather for families. We got the room just near the main path so it was rather loud. We arrived late, the receptionist was already on her way home but came back to attend us as she saw us arriving! 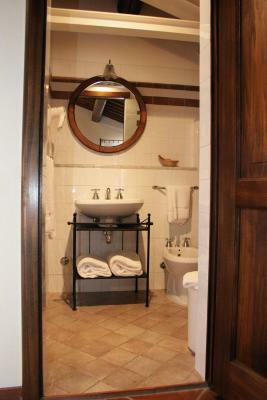 towels and robes in the pool/spa dressing area would have been nice. Stunning property! Beautiful views! My son and I were here four nights and hope to return again. Danella made us feel so welcome! We took advantage of the opportunity to ride horses and Clara was a wonderful, patient and highly competent instructor. We both had spa treatments and enjoyed them. 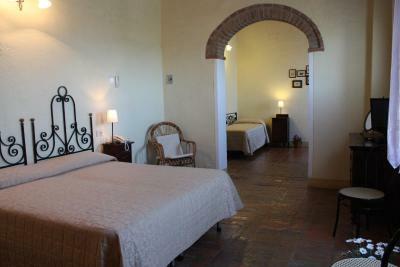 The rooms in the Tuscan style, but quite basic. No glass or cups for water in the rooms. 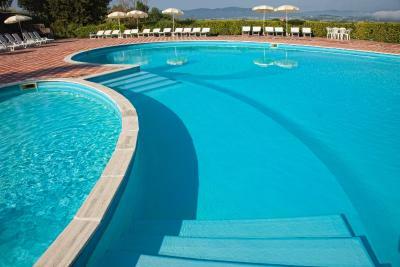 The outdoor swimming pool was out of order during our stay. 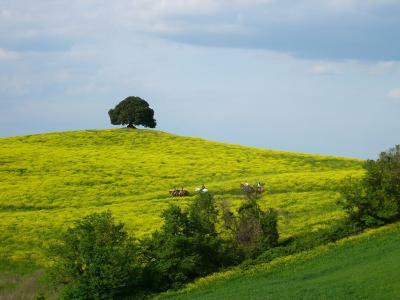 The beautiful scenery and calm.